New Black Vehicles For Sale at Lynch GM Superstore of Burlington, WI. 1Some customers may not qualify. Not available with some other offers. See dealer for details. 2See dealer for details 3Some customers may not qualify. Not available with some other offers. See dealer for details. 4Must finance through GM Financial. Some customers may not qualify. Not available with some other offers. See dealer for details. 5Monthly payment is $13.89 for every $1,000 you finance. Average example down payment is 4.5%. Some customers may not qualify. Not available with leases and some other offers. Take retail delivery by 4/30/19. See dealer for details. 1See dealer for details 2Not available with lease and some other offers. See dealer for details. 3Not available with special finance or lease offers. Take delivery by 04-30-2019. 4Monthly payment is $13.89 for every $1,000 you finance. Average example down payment is 4.5%. Some customers may not qualify. Not available with leases and some other offers. Take retail delivery by 4/30/19. See dealer for details. 1Not available with special financing, lease and some other offers. See dealer for details. 2See dealer for details 3Not available with special financing, lease and some other offers. See dealer for details. 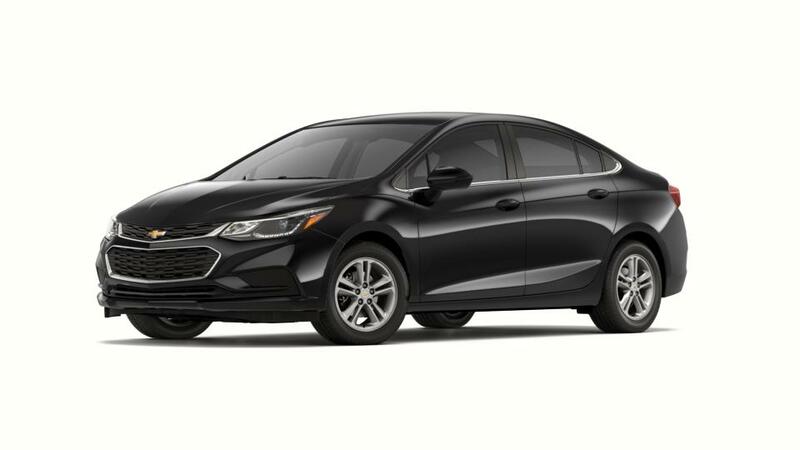 4Lease Loyalty Purchase Private offer to eligible 2014 or newer Chevrolet, Buick GMC or Cadillac lessees only toward the purchase only of certain Chevrolet vehicles. See dealer for details. 5Must qualify through GM Financial. Not available with special finance, lease, or some other offers. Take delivery by 04-30-2019. See dealer for details. 6Excludes L models. Monthly payment is $13.89 for every $1,000 you finance. Example down payment: 3.3%. Must finance with GM Financial. Some customers may not qualify. Not available with lease and some other offers. Take new retail delivery by 4/30/2019. See dealer for details. Lease for $458/month for 39 months with $2,530 due at signing including $0 Security Deposit and 10,000 miles per year. Payment expires on 04/30/19. Estimated Lease payment based on 39 months and $2,530 due at lease signing. Cash due at signing includes $2,073 capitalization cost reduction, which includes $650 acquisition fee, plus a required security deposit of $0, and first month's lease payment of $458. Excludes title, taxes, registration, and license fees. Total monthly payments equal $19,901. Mileage charge of $0.25 per mile over 10,000 miles. Not all consumers will qualify. Residency restrictions may apply. 1Not available with special financing, lease and some other offers. See participating dealer for details. 2See dealer for details 3Not available with special financing, lease and some other offers. See participating dealer for details. 4Not available with special finance or lease offers. Take delivery by 04-30-2019. 5GM Loyalty Purchase Offer. Must currently own or lease a 2005 or newer GM passenger car or truck to qualify for a minimum of 30 days. See dealer for details. 6Lease Loyalty Purchase Private offer to eligible 2014 or newer Chevrolet, Buick GMC or Cadillac lessees only toward the purchase only of certain Chevrolet vehicles. See dealer for details. 7Must qualify through GM Financial. Not available with special finance, lease, or some other offers. Take delivery by 04-30-2019. See dealer for details. 8Monthly payment is $13.89 for every $1,000 you finance. Example down payment: 4.3%. Must finance with GM Financial. Some customers may not qualify. Not available with lease and some other offers. Take new retail delivery by 4/30/2019. See dealer for details. 1Some customers may not qualify. Not available with some other offers. See dealer for details. 2See dealer for details 3Some customers may not qualify. Not available with some other offers. See dealer for details. 4Must finance through GM Financial. Some customers may not qualify. Not available with some other offers. See dealer for details. Lease for $637/month for 39 months with $5,436 due at signing including $0 Security Deposit and 10,000 miles per year. Payment expires on 04/30/19. Estimated Lease payment based on 39 months and $5,436 due at lease signing. Cash due at signing includes $4,800 capitalization cost reduction, which includes $650 acquisition fee, plus a required security deposit of $0, and first month's lease payment of $637. Excludes title, taxes, registration, and license fees. Total monthly payments equal $29,612. Mileage charge of $0.25 per mile over 10,000 miles. Not all consumers will qualify. Residency restrictions may apply. Lease for $293/month for 39 months with $2,599 due at signing including $0 Security Deposit and 10,000 miles per year. Payment expires on 04/30/19. Estimated Lease payment based on 39 months and $2,599 due at lease signing. Cash due at signing includes $2,307 capitalization cost reduction, which includes $650 acquisition fee, plus a required security deposit of $0, and first month's lease payment of $293. Excludes title, taxes, registration, and license fees. Total monthly payments equal $13,719. Mileage charge of $0.25 per mile over 10,000 miles. Not all consumers will qualify. Residency restrictions may apply. Lease for $294/month for 39 months with $2,609 due at signing including $0 Security Deposit and 10,000 miles per year. Payment expires on 04/30/19. Estimated Lease payment based on 39 months and $2,609 due at lease signing. Cash due at signing includes $2,316 capitalization cost reduction, which includes $650 acquisition fee, plus a required security deposit of $0, and first month's lease payment of $294. Excludes title, taxes, registration, and license fees. Total monthly payments equal $13,770. Mileage charge of $0.25 per mile over 10,000 miles. Not all consumers will qualify. Residency restrictions may apply. Lease for $297/month for 39 months with $2,639 due at signing including $0 Security Deposit and 10,000 miles per year. Payment expires on 04/30/19. Estimated Lease payment based on 39 months and $2,639 due at lease signing. Cash due at signing includes $2,343 capitalization cost reduction, which includes $650 acquisition fee, plus a required security deposit of $0, and first month's lease payment of $297. Excludes title, taxes, registration, and license fees. Total monthly payments equal $13,920. Mileage charge of $0.25 per mile over 10,000 miles. Not all consumers will qualify. Residency restrictions may apply. Lease for $304/month for 39 months with $2,759 due at signing including $0 Security Deposit and 10,000 miles per year. Payment expires on 04/30/19. Estimated Lease payment based on 39 months and $2,759 due at lease signing. Cash due at signing includes $2,456 capitalization cost reduction, which includes $650 acquisition fee, plus a required security deposit of $0, and first month's lease payment of $304. Excludes title, taxes, registration, and license fees. Total monthly payments equal $14,275. Mileage charge of $0.25 per mile over 10,000 miles. Not all consumers will qualify. Residency restrictions may apply. Lease for $469/month for 39 months with $3,945 due at signing including $0 Security Deposit and 10,000 miles per year. Payment expires on 04/30/19. Estimated Lease payment based on 39 months and $3,945 due at lease signing. Cash due at signing includes $3,477 capitalization cost reduction, which includes $650 acquisition fee, plus a required security deposit of $0, and first month's lease payment of $469. Excludes title, taxes, registration, and license fees. Total monthly payments equal $21,764. Mileage charge of $0.25 per mile over 10,000 miles. Not all consumers will qualify. Residency restrictions may apply. Lease for $556/month for 39 months with $4,707 due at signing including $0 Security Deposit and 10,000 miles per year. Payment expires on 04/30/19. Estimated Lease payment based on 39 months and $4,707 due at lease signing. Cash due at signing includes $4,151 capitalization cost reduction, which includes $650 acquisition fee, plus a required security deposit of $0, and first month's lease payment of $556. Excludes title, taxes, registration, and license fees. Total monthly payments equal $25,826. Mileage charge of $0.25 per mile over 10,000 miles. Not all consumers will qualify. Residency restrictions may apply. Lease for $560/month for 39 months with $4,743 due at signing including $0 Security Deposit and 10,000 miles per year. Payment expires on 04/30/19. Estimated Lease payment based on 39 months and $4,743 due at lease signing. Cash due at signing includes $4,183 capitalization cost reduction, which includes $650 acquisition fee, plus a required security deposit of $0, and first month's lease payment of $560. Excludes title, taxes, registration, and license fees. Total monthly payments equal $26,018. Mileage charge of $0.25 per mile over 10,000 miles. Not all consumers will qualify. Residency restrictions may apply. 1See dealer for details 2Conditional offer. Not available with all other offers. Must own or lease a 2005 or newer non-GM vehicle for a minimum for 30 days. Must take delivery by 4/30/19. See dealer for complete details. 3Private offer to current lessees of eligible 2014 Chevrolet, Buick, GMC or Cadillac vehicles towards the lease of a qualified Chevrolet vehicle. See dealer for details. Lease for $548/month for 39 months with $3,904 due at signing including $0 Security Deposit and 10,000 miles per year. Payment expires on 04/30/19. Estimated Lease payment based on 39 months and $3,904 due at lease signing. Cash due at signing includes $3,357 capitalization cost reduction, which includes $650 acquisition fee, plus a required security deposit of $0, and first month's lease payment of $548. Excludes title, taxes, registration, and license fees. Total monthly payments equal $24,704. Mileage charge of $0.25 per mile over 10,000 miles. Not all consumers will qualify. Residency restrictions may apply. Lease for $651/month for 39 months with $4,702 due at signing including $0 Security Deposit and 10,000 miles per year. Payment expires on 04/30/19. Estimated Lease payment based on 39 months and $4,702 due at lease signing. Cash due at signing includes $4,052 capitalization cost reduction, which includes $650 acquisition fee, plus a required security deposit of $0, and first month's lease payment of $651. Excludes title, taxes, registration, and license fees. Total monthly payments equal $29,412. Mileage charge of $0.25 per mile over 10,000 miles. Not all consumers will qualify. Residency restrictions may apply. 1Not available with special financing, lease and some other offers. See dealer for details. 2See dealer for details 3Not available with special financing, lease and some other offers. See dealer for details. 4Conditional offer. Not available with all other offers. Stackable % Cash Back for customers who have owned or leased a 2005 or newer non-GM vehicle for a minimum for 30 days. Must take delivery by 4/30/19. See dealer for complete details. 5Lease Loyalty Purchase Private offer to eligible 2014 or newer Chevrolet, Buick GMC or Cadillac lessees only toward the purchase only of certain Chevrolet vehicles. See dealer for details. 6Private offer to current lessees of eligible Chevrolet, Buick, GMC or Cadillac vehicles towards the lease of a qualified Chevrolet vehicle. See dealer for details. 7Excludes base models. Monthly payment is $16.67 for every $1,000 you finance. Example down payment: 19.9%. Must finance with GM Financial. Some customers may not qualify. Not available with lease and some other offers. Take new retail delivery by 4/30/2019. See dealer for details. Lease for $431/month for 39 months with $3,615 due at signing including $0 Security Deposit and 10,000 miles per year. Payment expires on 04/30/19. Estimated Lease payment based on 39 months and $3,615 due at lease signing. Cash due at signing includes $3,184 capitalization cost reduction, which includes $650 acquisition fee, plus a required security deposit of $0, and first month's lease payment of $431. Excludes title, taxes, registration, and license fees. Total monthly payments equal $19,983. Mileage charge of $0.25 per mile over 10,000 miles. Not all consumers will qualify. Residency restrictions may apply. Burlington new Black vehicles on special or other new and used models that catch your eye available at our everyday low prices.